Spending the night at the Dorset Inn wasn't quite what we expected. The room wasn't what I would have expected from a country inn; it was decorated in an Art Deco-ish style, with a vibrant pattern of black-and-white diamonds on the furniture. But it was very comfortable. 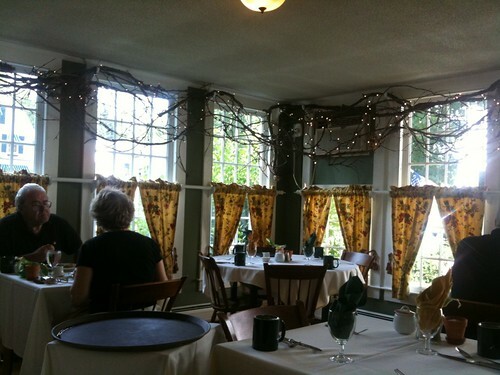 Unfortunately, even getting this pleasant treatment from the Dorset Inn set me off ranting about this, while Lori patiently nodded along with a rant she'd heard many times before. But at least I was ranting about how much more pleasant this was than normal hotels. 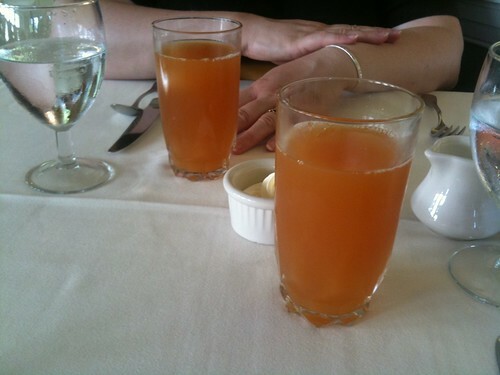 We started breakfast with local apple cider. It was rich, sweet, and sumptuous. I ordered the Potato-Bacon Pancake, expecting something hearty and savory. 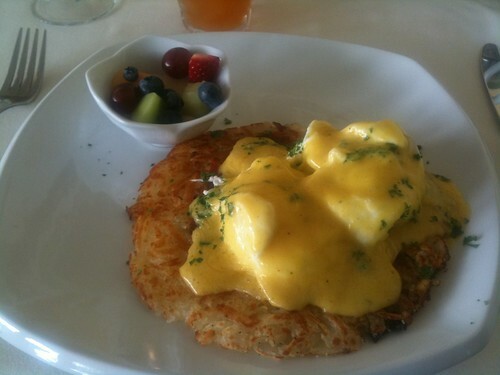 It was all that, but somehow I had missed the fact that it was topped with poached eggs and hollandaise sauce. This was a delight, with crisp tender potatoes, intense shreds of bacon, and the whole thing caressed and highlighted by sumptuous egg and hollandaise. This was the dish that clinched our decision to buy the Dorset Inn cookbook. 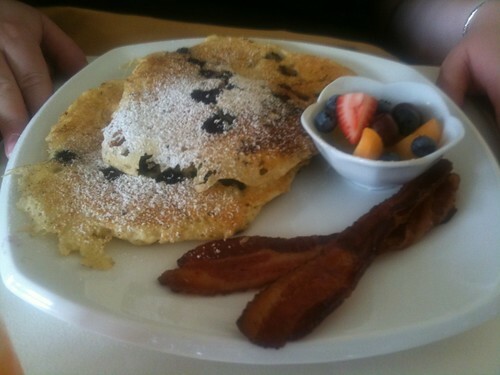 The bacon was well-hidden in this picture, but there was plenty of it in the pancake.